Peter's been mowing the grass and spotted this Bridal Veil Fungus just in time - I tried to remove all the grassy bits but a few have stuck! 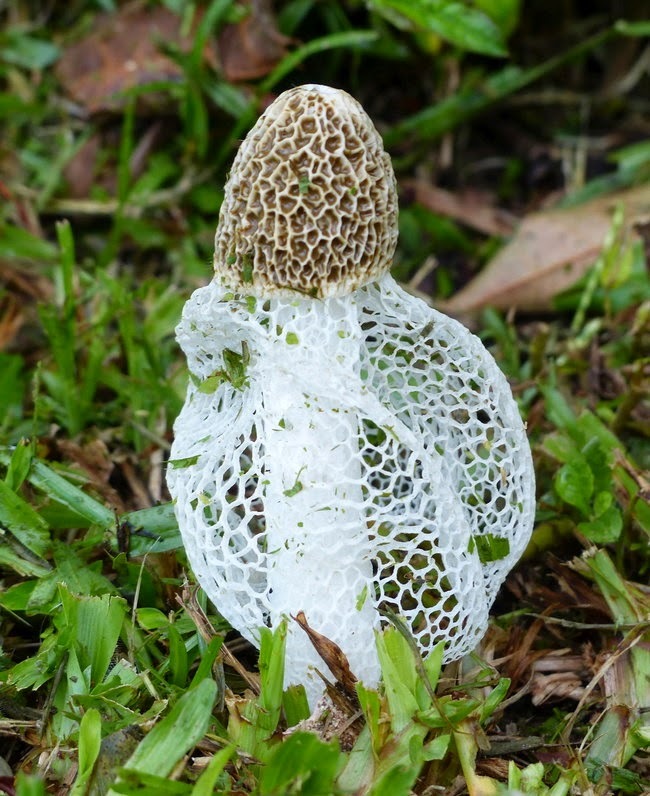 We often see amazing fungi during our rainy season, although after all that torrential rain last week we are enjoying beautiful fine sunny weather, while central and southern coastal Queensland, and also the Northern Territory to the west, are both bracing for cyclones. It's a crazy country - parts of inland Queensland are still in drought.